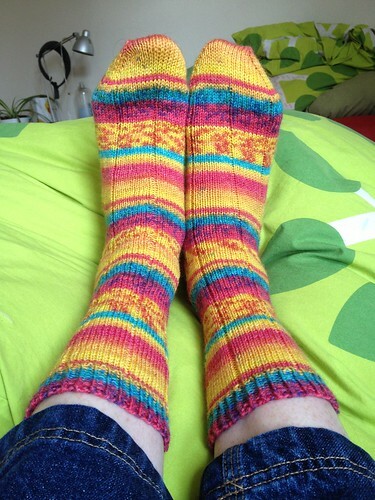 Finished “Der Kleine Prinz” socks was posted on October 21st, 2013 at 10.13am and is filed under Blog, Handmade. This entry has one comment. You can follow any responses through the RSS 2.0 Feed. Love the colour of the socks. Cool!